We have received a number of enquirys from people affected by the snow and frustrated by the councils and schools who appear to have failed to manage the situation. 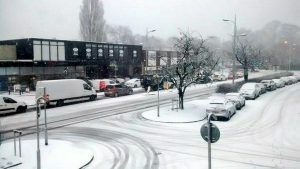 We have heard reports of main roads being left un-gritted, town centers becoming gridlocked and bus services suspended. At the same time schools closed leaving children unable to get home safely and parents forced to attempt difficult and dangerous journeys at a time when both the police and common sense tells us to stay at home. Schools have a duty of care to our children, more importantly the Council owe a specific duty to grit under the highways act. 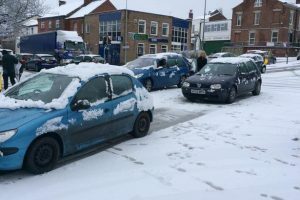 A poll by the Macclesfield express suggests that 84% of people believe that Macclesfield’s roads can not cope when it snows and 85% of people are not happy with the gritting on the roads. January, snow was forecast, it was no surprise; only a few centimetres of snow actually fell, yet the same poll suggests that 89% of people feel that their council failed them and was not prepared for the snow. Were you affected by the snow? Were you injured or damaged financially and feel that it was not your fault? If so please call us now, we are a local solicitor who specialise in these types of claims. They are not always easy claims to win but we have won a few for both drivers and pedestrians. We want the residents of Cheshire to get the level of service they deserve. This article was added on Sunday, February 1st, 2015 at 12:32 pm and is categorised under Cheshire News, General News, Macclesfield News, Traffic Accidents. Both comments and pings are currently closed. Error: Error validating access token: Session has expired on Saturday, 09-Mar-19 13:12:58 PST. The current time is Thursday, 25-Apr-19 05:52:21 PDT.